As the industrialization of the 20th Century caused economic growth, the number of workplace accidents increased. In 1900, there were two million workers injured and 350,000 killed in accidents. Between the years 1889 and 1906, the accident rate among railroad workers doubled. In 1907, efforts to minimize occupational injuries and to develop compensation programs to benefit injured workers, their dependents or survivors were instituted. In 1906, James Powell, Sr. founded Powell Law. Since then, our attorneys have litigated workers’ compensation cases involving all types of workplace injuries. Germany was the first country to make compensation available to injured workers with the introduction of workers’ compensation in 1884, followed by Great Britain in 1897. The first legislation to provide any type of compensation in the United States was the Federal Employees Liability Act (FELA) in 1908, which abolished the fellow servant rule, a common law doctrine that barred or reduced the amount of money an injured employee could recover against an employer if an injury was caused solely by the negligence of a fellow worker. Montana and New York enacted workers’ compensation legislation in 1909 and 1910 respectively. But both pieces of legislation were subsequently declared unconstitutional pursuant to the fourteenth amendment of the Federal Constitution. In 1911, Having learned from the mistakes of the Montana and New York legislatures, the states of New Jersey, California, Illinois, Kansas, Massachusetts, New Hampshire, Nevada, Ohio, Washington, and Wisconsin all enacted statutes. In 1915, Pennsylvania enacted the Pennsylvania Workmen’s (Workers’) Compensation Act (the “Act”) granting compensation for employees injured as a result of employment, regardless of fault. The Act defines benefits and the conditions under which benefits are available, including the procedures by which Pennsylvania workers may obtain them. The statute empowers the Department of Labor & Industry and the Bureau of Workers’ Compensation to carry out the administrative and appeal obligations defined in the act. Amendments to the Act eventually merged the compensation for injuries and occupational diseases into Pennsylvania law. 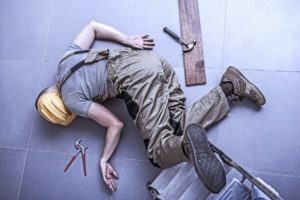 The Pennsylvania workers’ compensation system grants substantial rights to workers injured during the scope of their employment. The attorneys and staff of Powell Law are experienced in helping injured workers cope with their injury and move forward. Powell Law protects workers who have suffered injuries in the workplace by helping them assert their rights to obtain workers’ compensation benefits. Powell Law has an established 113-year-old reputation throughout northeastern Pennsylvania for advocating on behalf of injured workers and securing them compensation benefits. Contact Powell Law at call (570) 961-0777. The consultation is FREE.